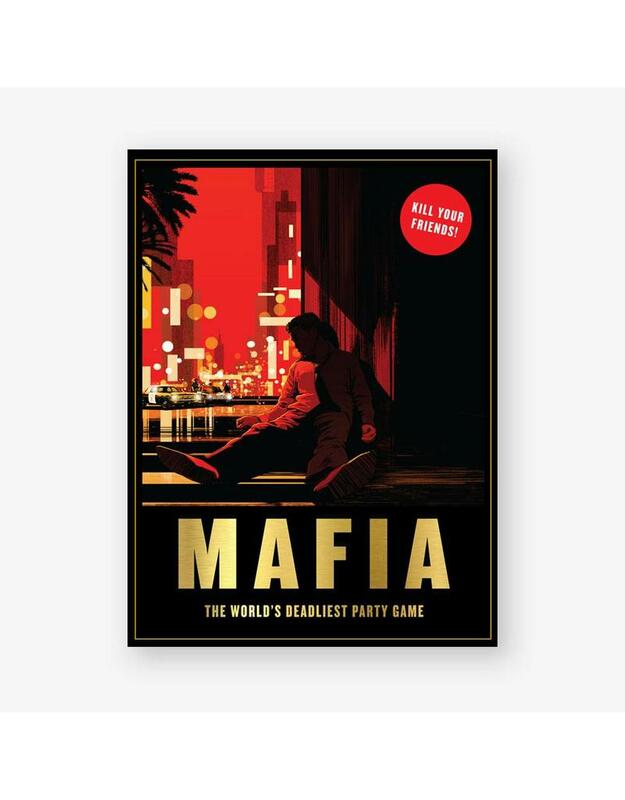 Will you survive the game of Mafia? Two teams compete in this delightfully deadly party game. Based on the classic role-playing strategy game, it’s kill or be killed as innocent city folk pit their wits against a mob of ruthless international gangsters. Engage in a tangled web of intrigue, subterfuge, wild accusations, protestations of innocence and bluffing. Includes 24 street character cards, crime-scene notepad and definitive game guide with rules, case files, tactical tips and ideas for advanced play. Angus Hyland is an award-winning art director and partner at Pentagram Design London. His previous books include Hand to Eye and The Book of the Dog. Shan Jiang is an illustrator, graphic designer and art director. His works have been exhibited in the US, Europe, Shanghai and Hong Kong.